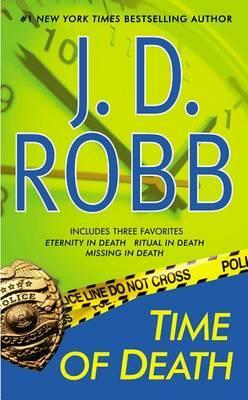 3 short stories starring Eve and Roarke, from the "In Death" series. A great read to catch up on beloved characters. In Eternity in Death, Eve is confronted with a victim who appears to have been killed by a vampire. Ritual in death has Eve looking for a killer that performed a satanic ritual to kill his victim. In Time of Death a pool of blood is found and no body, leaving Eve and Peabody to try and figure out how the body disappeared. All three stories are classic J.D Robb novellas, providing Eve with a challenge she hasn't faced before. But to her, a killer is a killer; it's just the method he chooses that is different.